Deborah’s debut album, ‘Song Be My Soul’ was launched in 2013 at the Maryland Renaissance Festival, USA. The title track ‘Song be My Soul’ fuses self-penned words with the Welsh folk song, Calon Lan and is majestic in its arrangement of piano and strings. 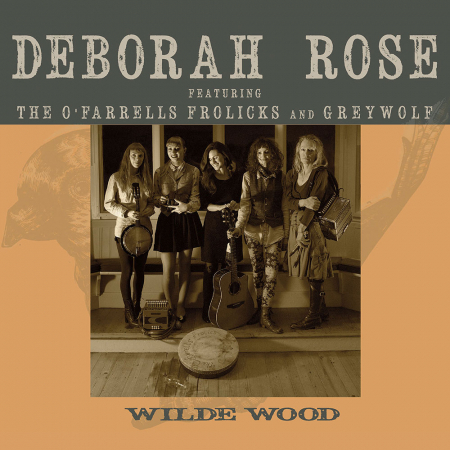 The album frames Deborah’s purity of voice with classic folk and a whisper of the mystic energy gained from her celtic roots, reflecting Deborah’s love of myth, legend and the esoteric. The hauntingly dramatic “Lady of Shalott” inspired by Tennyson’s epic poem is placed amongst beautiful compositions celebrating the works of Blake, Dickens, Rossetti and Shakespeare. 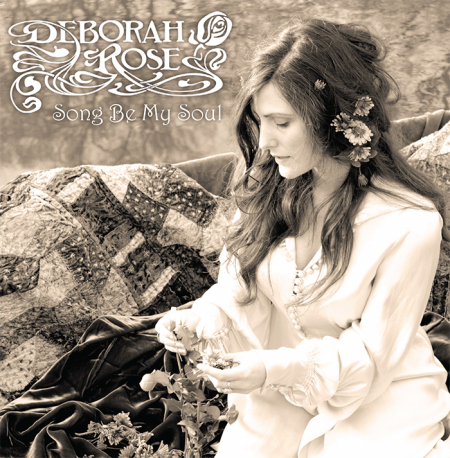 Orchestrated by classical composer Martin Riley, the album features the Aber Valley Male Voice Choir, eastern sounds of the bansuri flute and tabla, and an unreleased poem of late songstress Eva Cassidy, taking the listener on a musical journey of Deborah’s passion for art and literature. 1, 2, 6, 7, 8 – Co-written and arranged with Martin Riley. 3 – A poem by Eva Cassidy adapted by Deborah Rose and Dan Cassidy. Music by Ian King. 4 – Words by Tennyson, Music by Ian King. Recorded and mixed by Gavin Monaghan at the Magic Garden Studios and Richard Wood at the Old Smithy, UK. Also recorded at The Hatch, Tenbury with Andy Bell and Accapella Studios, Pentyrch, UK. Mastered by Mike Monsieur at Bias Studios, Washington DC. Piano by Martin Riley and Ian King, cello by Catherine Harper, guitar by Simon Othen, tabla by Mendi Singh, flute by Praful Mystic, violin by Leighton Hargreaves, and Dan Cassidy.